Share the post "Muay Thai History"
The origins and history of Muay Thai are unknown, and many books on Muay Thai conclude that it has been in the nation since the distant past, a unique national martial art. In war with neighbouring countries, it is believed to have been practiced by the army, and used to keep enemies beyond the range of old weapons such as swords. The Thais used the art of Muay Thai, especially dteh and teeb, to keep their opponents at a distance, as well as to keep them off balance so that they would surrender more easily. Besides using this art for protecting the Country, it was also used for self-defence. In the past Muay Thai boxing was done with bare hands and training was undertaken at well-known camps in various parts of the Country, Nahy Khanohm Tohm was famous for his battle against a group of Burmese before Bangkok became the capital of Thailand. Some Thai Kings, such as Phra Seua and Phra Chao Taksin, and warriors, such as Phrayas Pichai Dab Huk, were also great Muay Thai fighters. Muay Thai is a martial art of fighting with elbows, knees, feet and bare fists as weapons. In the old days, Asian men of Mongolia descendant from China down to the Malaya peninsular had been through wars by fighting face to face with enemies. Thus, the art of fighting has been developed as element of personal capability. The Caucasian counterparts in Europe, however, have concentrated more in developing weapons than personal ability to fight. 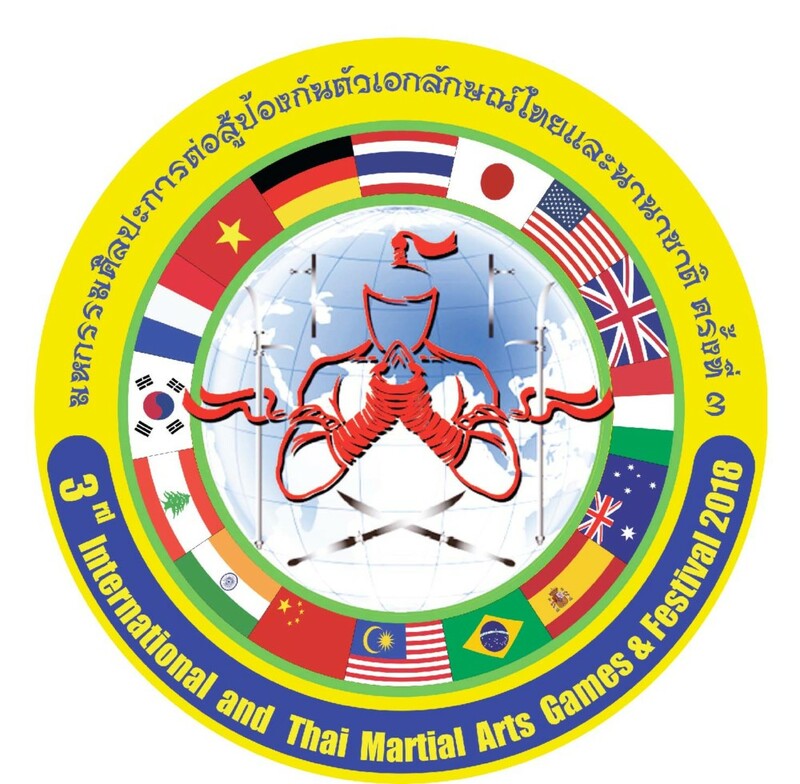 Consequently, martial art has been rather advanced in this part of the world, especially in Thailand, most of the Kings and great warriors went to the wars by fighting fist with enemies. Muay Thai has been one of the most efficient ways to fight. Since modern technologies did not exist in the ancient times, Thai children did not have mechanical toys to play with. Instead, they used their bodies to play games. Those simple games served as basic exercises for Muay Thai. They made parts of the bodies ready. Muay Thai involves all parts of the body. The students of Muay Thai learn about the bodies weak points understand how to exercise one’s physical parts. Since much training was involved at all levels of Thai life, many great schools of practice evolved their own techniques, During the Bangkok period, Muay Thai could be grouped into five recognised periods; those of Suan Gulab, in which the fighters used string bindings, not gloves; Ta Chang. In which gloves started to be used; Suan Sanuk, when Muay Thai produced a number of famous boxers: Luk Muang and Suan Chao Chet periods, when Muay Thai became accepted widely as a favourite sport. After the Second World War, Muay Thai moved to Europe and America, and since then expanded all over the World. Training camps have been set up in many Countries, creating a large number of professional and amateur Muay Thai boxers, coached by many Thai as well as non-Thai Instructors. 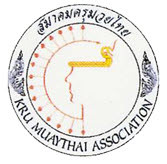 In 1994 there was an enthusiastic movement to set up an association for the Muay Thai amateurs, and in 1995 such an association, the International Amateur Muay Thai Federation (I.A.M.T.F.) 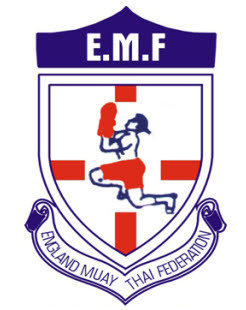 was established with the full support of the Ministry of Education, its headquarters is at the Department of Physical Education in Thailand with its International office being based In Manchester, U.K. its membership growing quickly over the first few years with members from over 54 Countries joining. The I.A.M.T.F. organised the First World Amateur Muay Thai Championships in 1995, and in 1996 the Second of it’s World Amateur Muay Thai Championships, taking part in Bangkok, Thailand, this was fully supported by the Government, various bodies in the public and private sectors, such as the Office of the National Culture Commission the Department of Physical Education, the Sports Authority of Thailand, the Tourism Authority of Thailand, and Thai Airways International. The I.A.M.T.F. has continued to hold World championships in 1997,1999,2001, 2003. 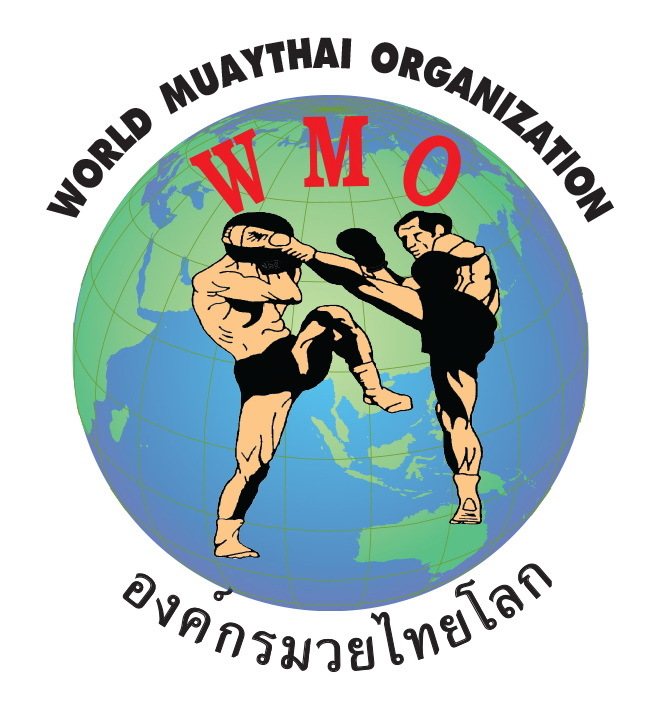 The name of the federation changed to WMF ( World Muay Thai Federation) in 2004 at the congress held in Chiang Mai where the Championships were held in association with AMAT (Amateur Muay Thai Association of Thailand) They have now held four European Championship, the first in 1998 which was held in Calafell, Spain. The second was in 2000 in Pathos, Cyprus, the third one was held in 2002 in Caldas Da Rainha, Portugal, and the fourth in Prague, Czech Republic. At this time the European Muay Thai Confederation held its first congress. It also held the first Military Games in Croatia, and held its first Friendship Games in Greece, so over the last 8 years it has been a very busy federation, so in true I.A.M.T.F. fashion they also held their first Muay Thai Conference in February 2002 in Bangkok with the finale of the Conference hosting an outside tournament which was held at Ayutthaya, the fighters and Distinguished Guests being taken down the river on three boats, music being played out loud, the boxing ring was set up on the river at the edge of the bank this was a huge success with the people of Ayutthaya and surrounding areas watching the tournament, which was opened by General Tienchai and the Mayor of Ayutthaya. “Nawa-attawut” or the 9 principal weapons in Muay Thai include head, 2 fists, 2 elbows, 2 knees, and 2 feet. In addition, there are combination weapons, which are shoulders and arms. The practice of using both the principal weapons and the combination weapons in Muay Thai requires not only hard work but also proper steps and tough endurance. There were 3 major cities well known for Muay Thai camps: Chaiya, Korat and Lopburi. Chaiya was a front town for army drafting. Muay Thai from these 3 Cities has been recognized since the Reign of King Rama V, for their excellent capability. 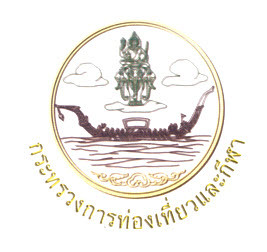 The 3 towns were named as Muay Thai cities. Prominent boxers from these towns were brought on to perform at the Royal Ceremony of Kromkoonmarupongsiripat. 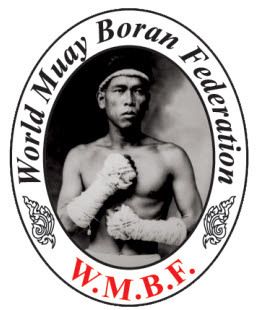 The 3 top boxers who were honoured with the title of “Muen” were Muen Muey MeeClue (Plong Chumnongtong from Chaiya), Muen Mua man (King from Lopburi), and Muen Cha-ngat Chueng Bok (Daeng Yhaiprasert from Korat). There was an old saying glorifying tactic and style of these three boxers; Korat fists, wit from Lopburi, good beat Chaiya. These three Muens displayed the exotic styles and techniques of Muay Thai as skilfully as their titles signified. The practice of Muay Thai is done in steps starting with “Pong Pat Pid Poed” (Guard, close, open), followed by “Loh Lo Lop Leak” (Lure and Evade), “Tum Tup Chap Huck” (Pull down and knock down) “Prakop Prakup Chup Runk Khao Khan Lak Dud Kan Khaw” as the last step of defeating an opponent. Above all, a boxer has to be trained the skill of “Yaang Saam Khum” which is the walking rhythm in Muay Thai movement. Each Master has his own style of “Yaang Saam Khum”. The perfect movement is the technique that can twist the counteracting action to be attacking movement in the most efficient and subtle manner. The well known style was invented by Luang Wisandaroonkorn. The primary position in “Yaang Saam Khum” was to set up the fists. The basic principle was trying to swing your self to be as thin a target as possible in order to avoid the attack from an opponent while skillfully fighting back. The sparring equipments in former times were not as advanced as today. Simple materials from nature were adapted and applied into practice, for instance, the binding of the fists. After listening to the Master, a student used a loin cloth called “Pa Khao Ma” hung from his neck using the back of his hands to bind the cloth round his fists. One hand was raised for about 8-12 inches away from the forehead amid the eyebrows. The other hand was held up at chin level, the elbow hung 2.3 inches closely to the body to protect the side when getting kicked at. When the hands were set ready, the same foot as the hand at forehead level would step out followed by the punching from that same side fist. Alternative fists were punched out in accordance with the stepping feet. Other materials were also used in sparring. The great Master Kimseng Taweesidh used coconut shells to make gloves. Some used limes by tying 10 limes with thread 6 inches apart onto the bamboo rail at the height of one’s throat and letting the trainee punch and elbow, without the limes bouncing back at his face or head, or dropping off the stems. After the boxing practice, the protection of the upper body from to waist would be trained and tested. The trainee would put powder mixed with water on his face and sit cross-legged flat on a rice mortar. Another trainee wearing gloves, simply sewn up from canvas pieces with fingers all exposed, would do the trainee sitting off the mortar not letting the powder shed off his face so much. For the feet training, a trainee had to jog in the water at ankle level first leaving the ripple line behind each wading step, then jogging further in the water at front leg level. For kicking practice, a banana trunk of 5-6 inches in diameter about 3 feet long was used as a sandbag. A trainee had to keep kicking the trunk with alternate feet so as not let the trunk drop. Then the trunk could be changed to 4 feet in length for higher kicking practice. The skilful trainers in this training method were Mr. Tub Chumko from Korat and Master Nual from Lopburi. When the sandbag came in to use for punching and practice, Master Charoon Taweesidh told his students, “do anything you like with it, but keep the bag on a slant at a 30 degree angle or more for 3-5 minutes, starting with a bag filled with wooden scrapes and later to a real sand filled bag.